As Catholics we are called to seek ways that each of us can work with our dioceses and communities to combat human trafficking. This can be done through prayer, education, and responsible consumerism. 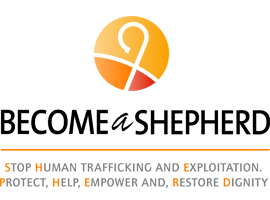 Visit www.usccb.org/shepherd to learn more about Becoming a SHEPHERD or email MRSShepherd@usccb.org to request the SHEPHERD toolkit guide – now available in both English and Spanish – to help you educate your parish and community about human trafficking. If you have already used the SHEPHERD toolkit, please fill out this quick survey from the USCCB campaign! They are looking for your feedback!